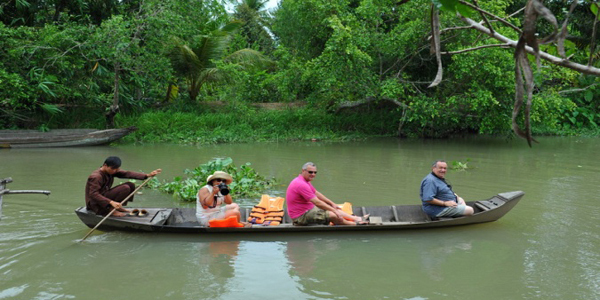 Trying the homestay in the Mekong Delta is properly memorable and enjoyable. You may have the chances to share hardship and joys with your local hosts. In Mekong Delta region, the homestays as well as what are so called the homestays are still mushrooming, especially in Vinh Long, Ben Tre, and Can Tho. 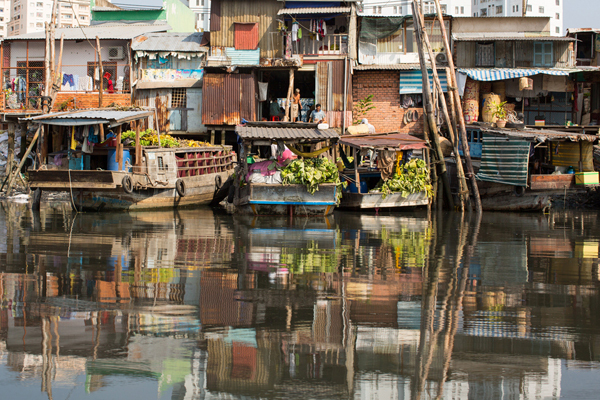 Some of them may be very spacious, beautifully built in traditional style of Vietnam while others may be very basic, and built on the wooden stilts. A big advantage of the Mekong Delta homestay traveling is that you will have the opportunity to explore the Mekong Delta deeply, as well as enjoy the wonderful life of the local people. You can walk on dirt paths and gravel tracks, ride the oxen cart, row the sampan in order to visit the rural villages, try to catch fishes in ponds by hands, or prepare a common meal of Mekong Delta with caramelized pork, sour soup, spring rolls and grilled gourami fishes. You can also experience daily life rhythms and activities of Vietnam’s rural: the kids cycle happily around, the dogs hang around the heat, the chickens scratch the soil for foods and locals swing in the hammocks whilst humming the folk songs, etc. all of them will take your heart and stay in your mind for a long time. Here is a tour program including the homestay in Ben Tre of Mekong Delta. The tour of Ben Tre’s homestay will help you explore the unique watery landscape of the Mekong Delta with an intricate canal network, sleeping villages, orchards, and green fields, as well as learn about the life of the locals here. Day one: Ho Chi Minh City – the homestay of Ben Tre. We will meet you at a hotel in Ho Chi Minh City at 8:30 AM, and then we will depart to the Mekong Delta with immense water, endless sky, and verdant land. 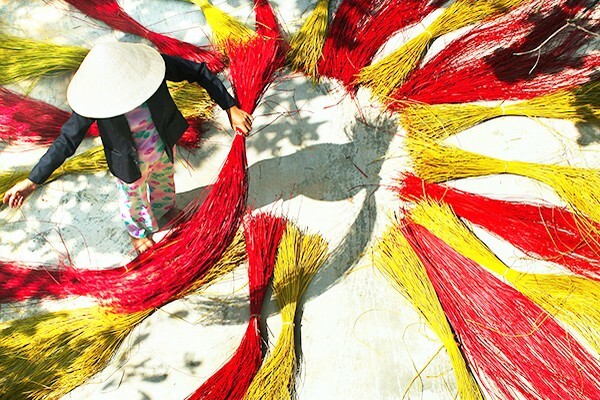 This region is called the biggest rice basket throughout Vietnam with verdant orchards and endless waterways. Arrive at the Hung Vuong Pier of Ben Tre, which is about 90 kilometers far from Ho Chi Minh City, we will embark and take a cruise along Ben Tre River. 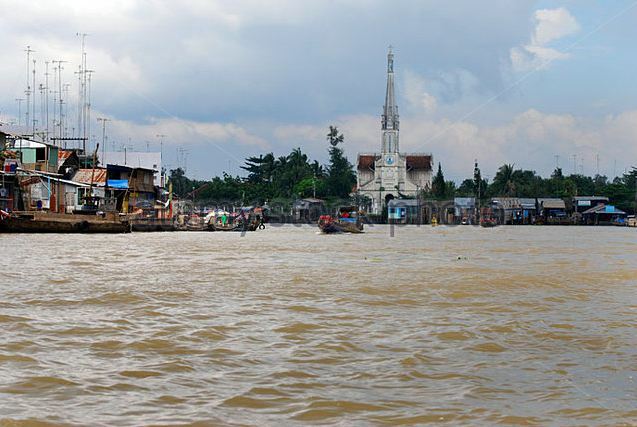 This river is a branch of the Mekong River with busy life activities of the locals. 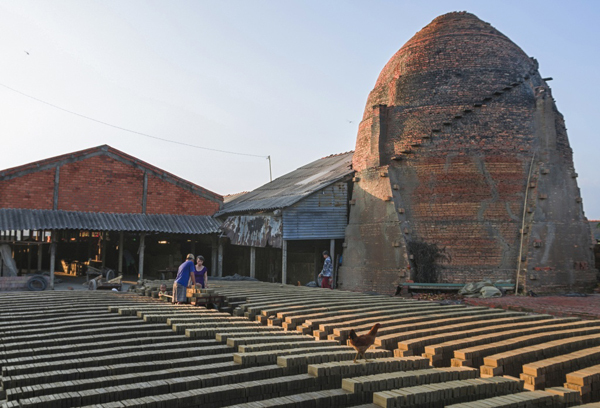 Then, we pay a visit to a brick belonged to a local named Tu Lo to see the way the Vietnamese make the bricks by hand as well as a home factory of coconut candy to see the making candy and souvenir making process. Next, we will visit the village of Nho Thanh to explore local culture or relax with fresh air and meet friendly locals. Take the bicycle cart on quiet paths and have our lunches at “Coconut Green” restaurant and go to some local houses to do the check-in. Then, in afternoon, we will take the cycling trips to visit the house with a valuable antique collection of Sau Khanh. Explore the agricultural activities, watch farmers working in the fields and join hands with them. In the evening, prepare the dinner with your local hosts and stay overnight. We will pay a visit to the busy local market as well as the temple of Phu Nhuan, in which you can witness antique cycads backdating over 100 years. Then, we will begin a rowing trip on the Cai Coi channel towards the pier of Hung Vuong and disembark there. Our trip continues with Can Tho as the next destination. On the route, we will visit the gardens of bonsai and Cai Mon Catholic church, then, have our lunches at a local restaurant. Next, in afternoon, we will check in the homestay in Can Tho and join in exciting activities with your hosts as picking vegetables and fruits for dinner, making cakes, cooking. Overnight and dinner at Can Tho’s homestay. On our way back to Saigon, we will put a stop to Long Dinh village, where is famous for their mats and have our lunches at Ba Kiet ancient house, Cai Be. In late afternoon, we will arrive in Ho Chi Minh City and we will drop you off at the hotels. End of services. We hope that through our Mekong Delta Homestay tour, you will have memorable experience about the friendly people, watery landscape, orchards, and the daily activities of locals in this fantastic southern region. What to pack for a great family picnic?